Verio caters to small businesses or small to mid-sized ecommerce sites with highly scalable hosting solutions. Hosting catered to small businesses isn’t uncommon (see: A Small Orange or Omnis Network) but Verio has a few unique features that set them apart from their competition. Verio used to be pretty popular back in the day. Verio offers some very helpful features (offered as upsells in their marketplace) for small business owners looking to jumpstart their online presence. 1) LiveChime Intercept Marketing: Verio’s online marketing tools include LiveChime Intercept Marketing. It’s a type of social media marketing tool that’s cloud-based and uses a kind of “listening tool” to find customers whenever they’re talking about certain keywords that pertain to your business. It enables small to medium businesses to find customers that might currently need their services on social media (Facebook, Google+, Twitter). It’s a way to build qualified leads and put your business in front of potential customers, instead of waiting for them to come to you. Once you find the potential leads, you can interact with them through email, messages, or live chat. Those interactions would be highly targeted and therefore would be more likely to convert into sales. This service will be invaluable to any business looking to save time and make more money. Verio offers LiveChime Intercept Marketing as an add-on service with 5 different pricing plans. 2) Verio Marketplace: Verio Marketplace is a one-stop-shopping place for you to find business solutions. You can research, evaluate, and select tools that will help your business grow and scale. You can evaluate multiple solutions, one of them at no cost. It currently has two offerings, with more to come: Verio Cloud N and Verio Cloud Builder. Cloud N serves as an Infrastructure as a Service (IaaS); you get to have the flexibility of public cloud service to scale your business without the high maintenance costs. Cloud Builder offers custom prebuilt solutions that are already configured to your needs. This service is free and acts a companion product to Cloud N. These services are perfect for any business either looking to get started online or wanting to expand their online presence. 3) Ecommerce Hosting with ShopSite: Verio places special emphasis on ecommerce by offering separate hosting plans for ecommerce sites. They use ShopSite – a shopping cart software designed specifically for small to medium businesses. ShopSite is easy to learn but still has all the powerful features to run a successful online store. It’s browser-based so there is no software to download or install. There are three ecommerce hosting plans by Verio: Starter, Manager, and Pro. Starter is aimed at merchants starting out with 15 products or less. Manager is for those that have lots of products and need mobile-ready pages. Pro is the most comprehensive plan with Facebook integration, inventory tracking, digital downloads, and more. ShopSite uses Constant Contact as their email marketing software, so customers will have to set up an account with Constant Contact. Verio offers an on-call support team but their reputation is questionable. If you are a small business owner that wants reliable support to help you with issues, you might want to try something with more reliable support like Siteground. We looked over several online reviews to find out what people were saying about Verio. We found customers were pleased with customer support and service. Not all reviews were positive however. We found customers disappointed with uptime and billing. 1) Windows, Linux, Unix Hosting: Verio offers three hosting platforms: Windows, Linux, and Unix. Shared hosting plans are offered in both Windows and Unix. Linux is only offered for VPS and managed dedicated servers. 2) 24/7/365 Support: Verio offers the standard around-the-clock support through live chat and phone number. There is also a knowledgebase and control panel demos. A separate billing platform allows you to still make a payment if you can’t access your account, without having to contact support. 3) No Setup Fees: There are no setup fees for any Verio plans. 4) 30-Day Money-Back Guarantee: Verio offers the industry-standard 30-day money-back guarantee with the usual exceptions – no refunds for extras. 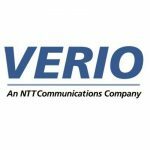 5) Uptime Guarantee: Verio publishes a 99.9% uptime guarantee on their website. 1) Bad Reviews: Verio doesn’t seem to have many favorable reviews online. Complaints seem to generally revolve around their support, or lack thereof. While it’s possible only the most disgruntled customers leave online reviews, the fact that there aren’t that many positive reviews can be startling. 2) Priced High: Verio’s basic web hosting plans seem to be priced higher than competitors. Basic hosting offers 25 pages at $9.95 a month. This could be due to the fact they don’t have introductory prices. 3) No Free Domain: No plans include a free domain. Verio has a wide range of options for shared web hosting, VPS, and dedicated servers. Their products come in three different platforms: Windows, Linux, and Unix. Shared hosting plans are offered on Windows or Unix platforms, while Linux is only offered for VPS and dedicated servers. They also have a special focus on ecommerce websites with three different plans using ShopSite. Support, product offerings, and money-back guarantee all seem standard. Because there are no introductory prices on any of their plans, even the most basic shared hosting plan might seem a bit high.